Steve B	(Camarillo, CA)	Yes, I would recommend service as 5 stars to friends. Kelly M	(Ventura, CA)	Yes, I would recommend service as 5 stars to friends. OSCAR Q	(VENTURA, CA)	Very dependable place for your car services. The guys are great and very friendly. Clifton G	(Ventura, CA)	Yes, I would recommend service as 5 stars to friends. John R	(Ventura, CA)	Yes, I would recommend service as 5 stars to friends. Bill W	(Ventura, CA)	Yes, I would recommend service as 5 stars to friends. Jim N	(Ventura, CA)	Yes, I would recommend service as 5 stars to friends. Hector B	(Ventura, CA)	Yes, I would recommend service as 5 stars to friends. Joel T	(Ventura, CA)	Yes, I would recommend service as 5 stars to friends. George F	(Ventura, CA)	Yes, I would recommend service as 5 stars to friends. chuck k	(Ventura, CA)	Yes, I would recommend service as 5 stars to friends. Allan H	(Ventura, CA)	Yes, I would recommend service as 5 stars to friends. Ross S	(Port Hueneme, CA)	Yes, I would recommend service as 5 stars to friends. Steve M	(Ventura, CA)	Yes, I would recommend service as 5 stars to friends. 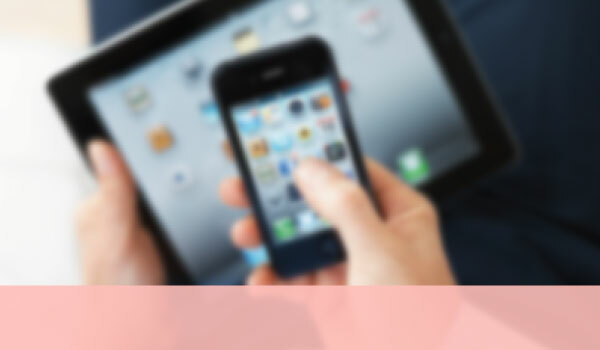 Brandon W	(Ventura, CA)	Yes, I would recommend service as 5 stars to friends. Mike M	(Ventura, CA)	Yes, I would recommend service as 5 stars to friends. Ren L	(Ventura, CA)	Yes, I would recommend service as 5 stars to friends. Margie C	(Ventura, CA)	Yes, I would recommend service as 5 stars to friends. Shiloah V	(Ventura, CA)	Yes, I would recommend service as 5 stars to friends. Carol W	(Ventura, CA)	Yes, I would recommend service as 5 stars to friends. Vicky D	(Ventura, CA)	Yes, I would recommend service as 5 stars to friends. Diane W	(ventura, California)	Always efficient and friendly service. I highly recommend! John B	Yes, I would recommend service as 5 stars to friends. Mike R	(Ventura, CA)	Yes, I would recommend service as 5 stars to friends. Nancy G	(Ventura, CA)	Yes, I would recommend service as 5 stars to friends. Sam D	(Ventura, CA)	Yes, I would recommend service as 5 stars to friends. Cecil M	(Ventura, CA)	Yes, I would recommend service as 5 stars to friends. Kimberly K	(Ventura, CA)	Yes, I would recommend service as 5 stars to friends. Erin	(Ventura, Ca)	Everyone was knowledgable, trustworthy and helpful! I will definitely be back! ARGELIA M	(Ventura, CA)	Great place for quick service. Location is superb for East-Ventura residents and even the drive for residents further out. Susan C	(Ventura, CA)	Yes, I would recommend service as 5 stars to friends. Rex H	(Camarillo, CA)	Yes, I would recommend service as 5 stars to friends. Jon W	(Ventura, CA)	Yes, I would recommend service as 5 stars to friends. John B	(Oxnard, CA)	Dan and the crew were very helpful, courteous and professional. The job was done while I waited and at a better price than a few shops I called. Bringing my car back for other maintenance issues but comfortable knowing that the job will be done right. Sabastian F	(Santa Paula, CA)	Yes, I would recommend service as 5 stars to friends. John B	(Ventura, CA)	Yes, I would recommend service as 5 stars to friends. Heather M	(Ventura, CA)	Yes, I would recommend service as 5 stars to friends. Alexis D	(Ventura, CA)	Yes, I would recommend service as 5 stars to friends. Josh W	(Taylors, SC)	Yes, I would recommend service as 5 stars to friends. Darlene A	(Ventura, CA)	Yes, I would recommend service as 5 stars to friends. Ross M	(Santa paula, California)	Great staff, very friendly and more importantly honest. Transparent communication the entire time. Will definitely be using these guys for major repairs. Steve P	(Ventura, CA)	Yes, I would recommend service as 5 stars to friends. Todd G	(Los Angeles, CA)	I’ve owned many vehicles over the years and had them serviced at many different garages, from dealerships to small mechanics, and I can confidently say that Dependable Car Care stands out from the crowd. They are knowledgeable, competent, honest, affordable, and courteous. That’s the gold standard in auto repair. From a big AC system job to a simple battery replacement, I have received a consistent level of service from Dependable Car Care, a business that is true to name. Randy R	(Fillmore, CA)	Yes, I would recommend service as 5 stars to friends. Dayle W	(Ventura, CA)	Yes, I would recommend service as 5 stars to friends. Conrad Q	(Ventura, CA)	Yes, I would recommend service as 5 stars to friends. Ch	(Ventura, Ca)	Dan's place has been the most trustworthy auto repair shot I have dealt with in years! He tells you the truth and does nothing extra and treats you with respect. Carolyn K	(Ventura, CA)	Very Satisfied. First time here, but definitely will use again. Maureen D	(Ventura, CA)	Yes, I would recommend service as 5 stars to friends. Sarah V	(Ventura, CA)	Yes, I would recommend service as 5 stars to friends. Erendira D	(Ventura, CA)	Yes, I would recommend service as 5 stars to friends. Joel M	(Ventura, CA)	Yes, I would recommend service as 5 stars to friends. Debra B	(Ventura, CA)	Yes, I would recommend service as 5 stars to friends. Mike R	(Ventura , Ca)	If quality service at a fair price done on time is what you want, look no further! Dependable Car Care is the shop for you! 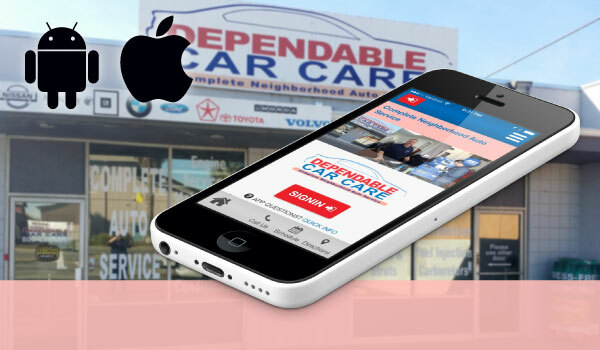 Will S	(Ventura, California)	The guys at Dependable Car Care are great! Dan is always straight forward and honest about what repairs are essential and what are minor. I never walk away feeling like I got swindled and my vehicles are always running top notch. Sabastian F	(Ventura, CA)	Yes, I would recommend service as 5 stars to friends. Todd A	(Ventura, CA)	Yes, I would recommend service as 5 stars to friends. Don W	(Ventura, CA)	Yes, I would recommend service as 5 stars to friends. Dave R	(Oxnard, CA)	Yes, I would recommend service as 5 stars to friends. Angel P	(Downey, CA)	Yes, I would recommend service as 5 stars to friends. Daniel W	(Ventura, CA)	Yes, I would recommend service as 5 stars to friends. Will S	(Ventura, CA)	Yes, I would recommend service as 5 stars to friends. Mark M	(Ventura, CA)	Dan and his team are consistently fair and honest, and their rates are similar (if a tad higher, that accounts for their exceptional warranty and paying their employees fairly) to the competition, and believe me, I have done a lot of research. Dan will carefully explain, taking all the time you need to understand, the reason for a suggested repair. We have been taking our Subaru Baja and Toyota Prius to Dan for several years now. Only complaint, and it's minor since it allows the crew to have a life outside work, is that they're not open on the weekend. Jackie Q	(Ventura, CA)	Yes, I would recommend service as 5 stars to friends. Nancy F	(Murrietta, CA)	Yes, I would recommend service as 5 stars to friends. Julie S	(Ventura, CA)	Yes, I would recommend service as 5 stars to friends. Joel O	(Oxnard, CA)	Yes, I would recommend service as 5 stars to friends. Pam B	(Ventura, CA)	Yes, I would recommend service as 5 stars to friends. 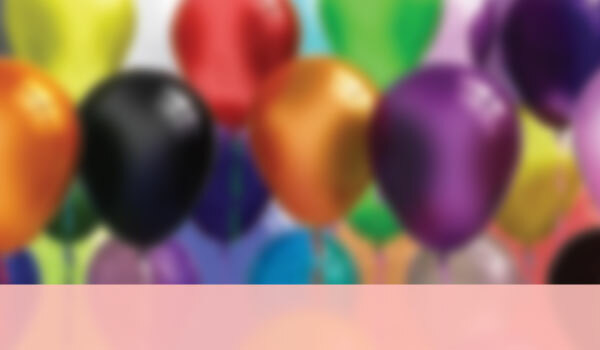 Brandalyn R	(Santa Paula, CA)	Yes, I would recommend service as 5 stars to friends. Daniel L	Yes, I would recommend service as 5 stars to friends. Angela F	(Ventura, CA)	Yes, I would recommend service as 5 stars to friends. Brooke M	(Ventura, CA)	Yes, I would recommend service as 5 stars to friends. Tracy S	(Oxnard, CA)	Yes, I would recommend service as 5 stars to friends. David F	(Ventura, CA)	Yes, I would recommend service as 5 stars to friends. Wing L	(Ventura, CA)	Yes, I would recommend service as 5 stars to friends. Greg W	(Ventura, CA)	Dan and his crew over at Dependable Car Care are, quite simply, The Best!! The word "Dependable" fits them perfectly!!! A few other perfectly fitting words for this shop and all the personnel who run it are: Honest - Trustworthy - Genuine - Honorable - Wise - Economical - Judicial - Pragmatic ...and the list goes on. But you get the idea. I will never again bring any vehicle I ever own to anybody else, Period! Dan and the Dependable Car Care crew have won my business for life!!! Hands down the best!!! No contest!! !